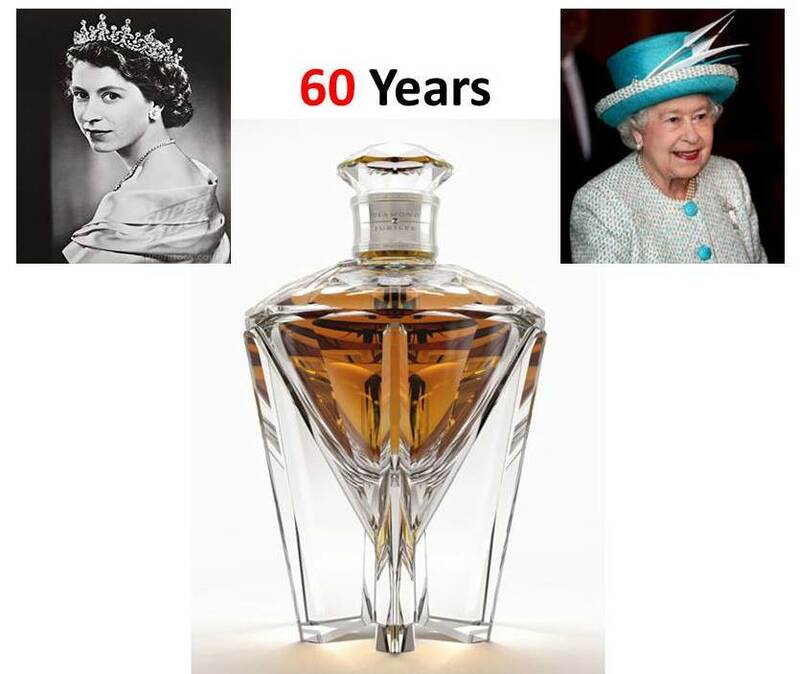 The £100,000-a-bottle whisky was distilled in 1952 and has been maturing for the Queen’s 60 years on the throne. 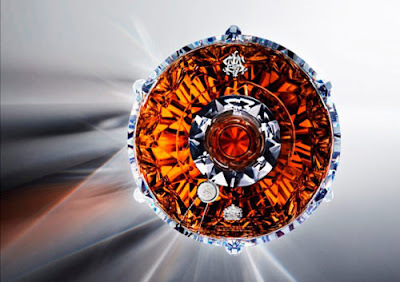 Sixty years ago, as the Queen was preparing to accede to the throne, distillers on her Balmoral estate were taking care of preparations of their own. And recently, as Her Majesty celebrated 60 years of her reign, the final touches were put on a whisky especially produced to mark the anniversary. 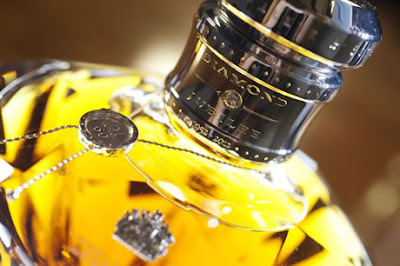 The blended malt and grain 'Diamond Jubilee' whisky, which was distilled in 1952, was finally bottled at the Royal Lochnagar distiller. 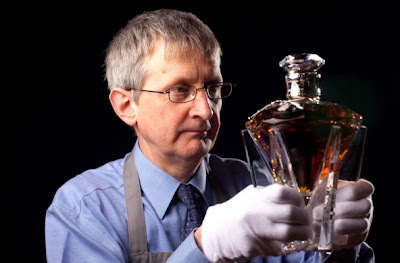 Only 60 bottles were made at the distillery on the Balmoral Estate in Ballater, Aberdeenshire. 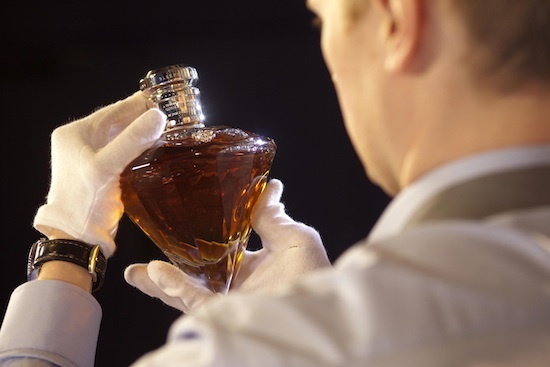 One will be gifted to the Queen and the others will be sold around the world for £100,000 each. 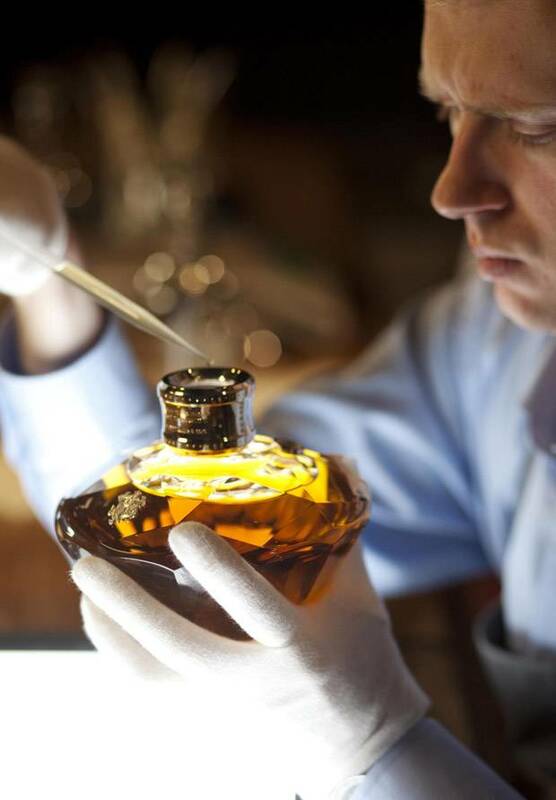 All the profits from the sale of the remaining 59 bottles will go to the Queen Elizabeth Scholarship Trust (Qest), a charity which provides grants and training to craftspeople in the UK. 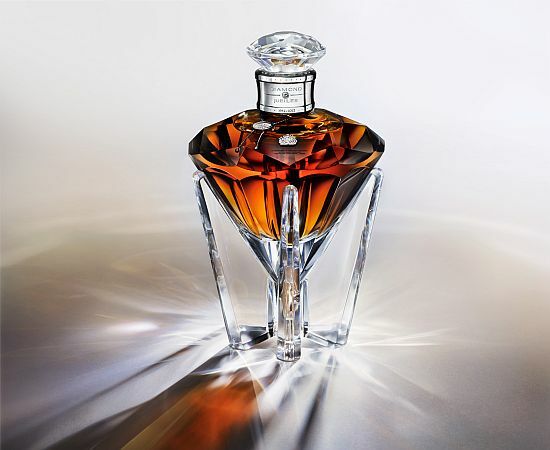 The whisky was bottled by John Walker & Sons to mark 60 years to the day since The Queen's accession. Jim Beveridge, master blender at John Walker & Sons with one of 60 decanters of Diamond Jubilee produced at the Royal Lochnagar Distillery on the Balmoral Estate. The design of the bottle to mark the anniversary was revealed last June. 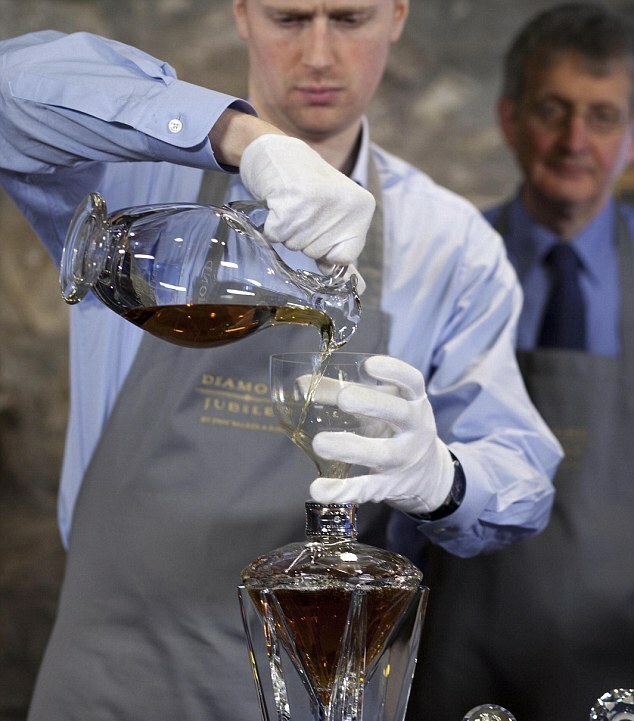 Each crystal decanter is accompanied by two hand-engraved lead crystal glasses, enclosed in a wooden cabinet made from oak and pine from the Queen’s Sandringham and Balmoral estates. 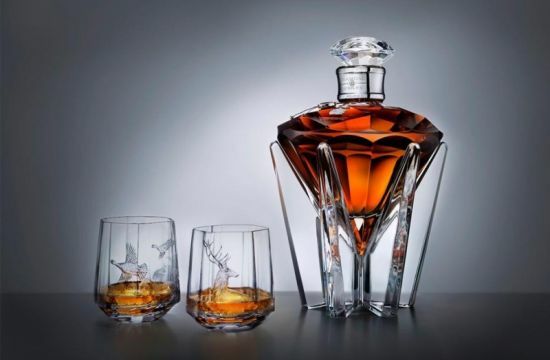 David Gates, who grants the Royal Warrant for Johnnie Walker, said " Interest among buyers was high."